AMRITSAR: Gorkhas living in Chamba district of Himachal Pradesh (HP) have submitted a status report to the deputy commissioner there, seeking his recomendation to the goverment for giving the Scheduled Tribe(ST) status to 11 Gorkha Communities. The Chamba district president of Himachal Pradesh Gorkha Ex-Servicemen Welfare Association, Vijay Kumar Gurung, told TOI on Wednesday that the association had submitted a status report to Chamba deputy commissioner and were hopeful that Centre would soon grant them the ST status. He said the report would be sent to the Himachal Pradesh tribal development commissioner, who would submit it to the state’s ministry of tribal affairs. Gurung said there were 2,644 Gorkhas, including 1,350 women, in Chamba district. “Of them, 85% men are in service or retired from armed forces or paramilitary forces. Nepali-speaking Gorkhas are settled in Bakloh, Chowari, Banikhet, Dalhousie, Sherpur, Sammleu, Channa and Goli in Chamba district,” he said. He said the report would be sent to the Himachal Pradesh tribal development commissioner, who who would submit it to the state’s ministry of tribal affairS. Gorkhas have been demanding the ST status for 11 of their communities — Bhujel, Gurung, Mangar, Newar, Jogi, Khas, Rai, Suwar, Thami, Yakha (Dewan) and Dhimal. Gorkhas had settled in Himachal Pradesh about 250 years ago, and their empire stretched from Kangra to Srinagar between 1803 and 1814. 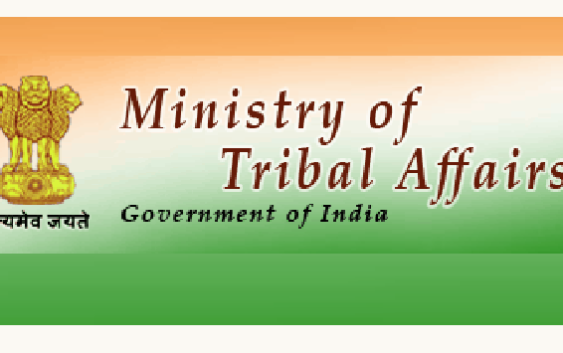 The ministry of tribal affairs in 2016 had formed a committee to examine and recommend granting of ST status to 11 communities of Gorkhas living in Sikkim and other Gorkha-dominated states. Stating that Gorkhas of HP already had the backward class (BC) status, Gurung said there were 50 communities in the state that had the BC status. “But Gorkhas are often deprived of facilities, so it was necessitated to demand the ST status,” he said. Talking about their culture, Gurung said Gorkhas had a culture which was distinct from that of the locals, be it the customs, religion, houses, dresses, or ornaments. “The community is shy and simple; it is happy with all that it possesses and is not demanding,” he said, adding that Gorkhas were hesitant to approach higher authorities in the government to meet their day-to-day demands. Gorkhas living in Chamba district of Himachal Pradesh (HP) have submitted a status report to the deputy commissioner there, seeking his recomendation to the goverment for giving the Scheduled Tribe(ST) status to 11 Gorkha Communities.